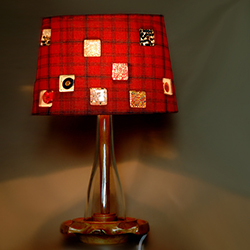 Base of rowan wood, jewelry resin, dried flowers, acryl Lampshade of cloth with insertions of jewelry resin with dried flowers OR natural veneer. 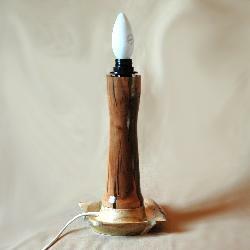 E14 llightbulb. 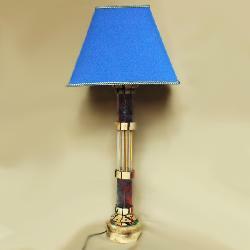 Dimensions (height x max diameter): 50 x 30 cm. 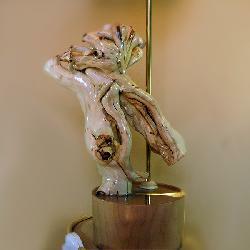 Base of natural rowan wood and colored jewelry resin. 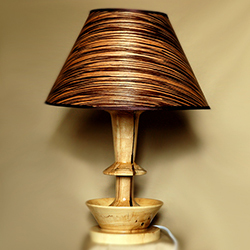 Lampshade of natural veneer or cloth. 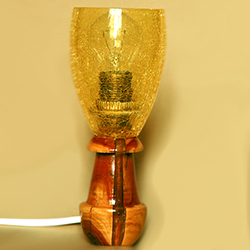 E14 lightbulb. 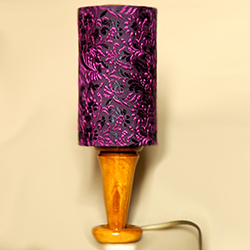 Dimensions (height x max diameter): 57 x 30 cm. 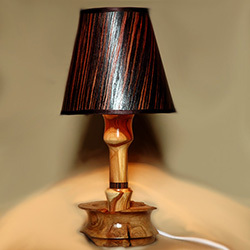 Base of natural apple and ash wood, lampshade of cloth. 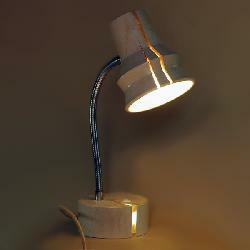 E14 lightbulb. 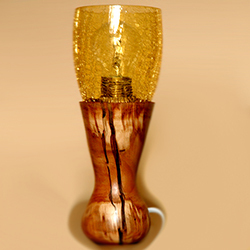 Dimensions (height x max diameter): 51 x 25 cm. 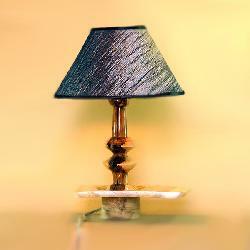 Base of apple wood and jewelry resin with phosphor. 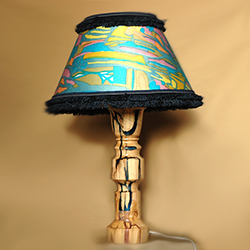 Lampshade of cloth and lace. 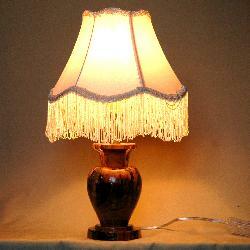 Upper lampshade diameter 12 cm. 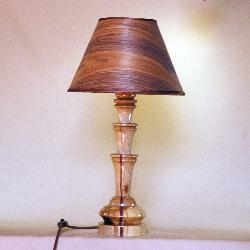 Lower lampshade diameter 25,5 cm. 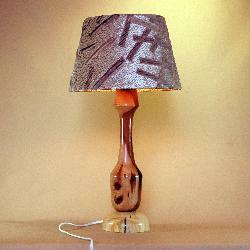 Base of natural rowan wood, cherry tree root, jewelry resin: lampshade of cloth. 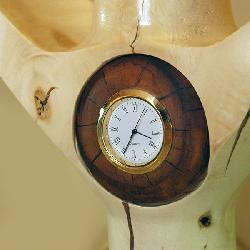 Base of rowan wood, plum wood; contains a clock compartment. 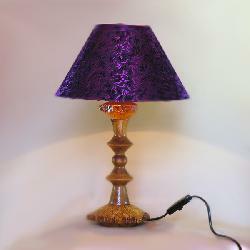 Lampshade of cloth and jewelry resin with dried flowers. Base of natural Kaerlian birch wood and oak. 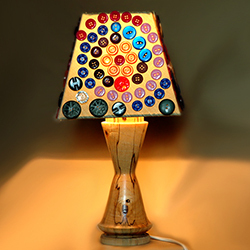 Lampshade of cloth with buttons. Base of birch wood and jewelry resin. Base of apple wood, colored jewelry resin, glass, sticks and glass rods. 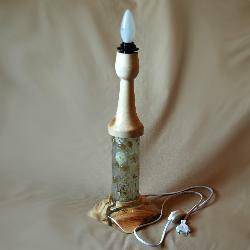 Made of poplar wood, glass, jewelry resin and dried flowers. 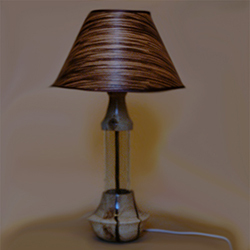 Height (with lightbulb) - 42 cm. 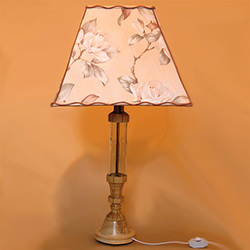 An example of a lamp of this type 01012. 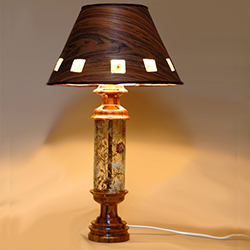 Made of poplar wood, glass, jewelry resin, phosphor and dried flowers. 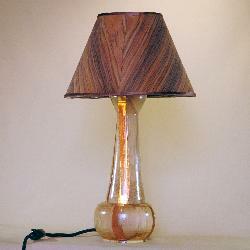 Height w/ lightbulb - 34 cm. base dimensions, cm - 16х13,5. 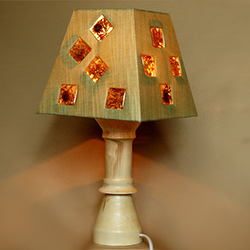 Made of apple wood, jewelry resin and glass. 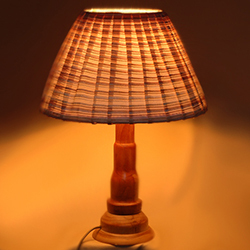 Height w/ lightbulb = 34 cm. Base size = 14 x 13 cm. Base of apple wood, jewelry resin, dried flowers and glass. 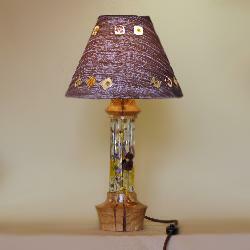 Lampshade of natural veneer with insertions of jewelry resin with dried flowers. 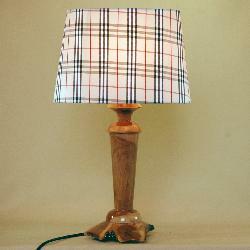 Orders also accepted for this item, for example, with base 11021 or 11020. 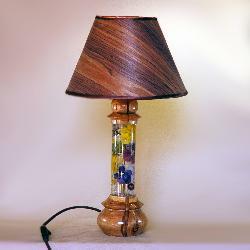 Base of poplar wood, jewelry resin and glass. 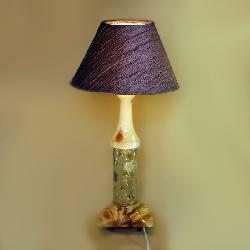 Made of natural poplar wood, glass, jewelry resin, luminescent material, dried flowers and cloth. 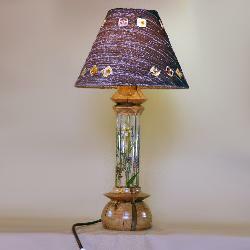 Lampshade of clowh with insertions of jewelry resin with dried flowers. E14 lightbuld with a dimmer. 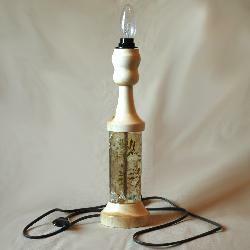 Base of birch wood, jewelry resin and glass. 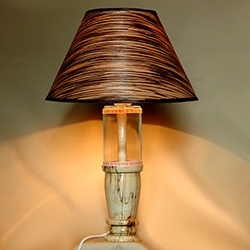 E27 lightbulb with a dimmer.